The 5.3 inch Galaxy Note has been one of the most successful devices in the Galaxy range to date. It has shifted well over 10 million handsets since its launch placing it just behind the Galaxy S2 and Galaxy S3 in terms of popularity. This success has come as some surprise considering the initial scepticism regarding the device’s larger screen. Larger screened phones like the Galaxy Note are realistically a bit too big to be classed as a phone, but not quite large enough to fall into the category of a tablet. Because of this they have been dubbed “phablets” by many people – a cross between phone and tablet. Although phablet sized devices seemed quite absurd just a few years ago, demand for big-screened phones has never been higher. Rumours are circulating that for the first time even Apple will adopt a larger screen size for its phone range. This would have previously been unheard of; Apple has always been resolute in sticking to 3.5 inches for its phones and 9.7 inches for its tablets. Along with its larger 4 inch iPhone it is thought that Apple will unveil a 7 inch iPad during the middle of next month. This is more of a small sized tablet than a phablet, but it does demonstrate that even Apple is recognising the demand for touchscreen gadgets within this intermediary size range. There have only been a limited number of phablets so far, but it is becoming clear that phone manufacturers are increasingly interested in entering this section of the electronics industry. Phablets provide all of the benefits of a phone and a tablet rolled into one. While tablets usually do not come with voice call support, and are impractical for using as a phone due to their size anyway, phablets provide many tablet benefits that are not suitable on smaller smartphones. Recently images appeared online of what is thought to be the Samsung Galaxy Note 2. While the device does not look all that different to the original Galaxy Note it is speculated to have some notable hardware and software updates. Samsung has also released a teaser video which does not provide much to go on other than a launch date and venue. 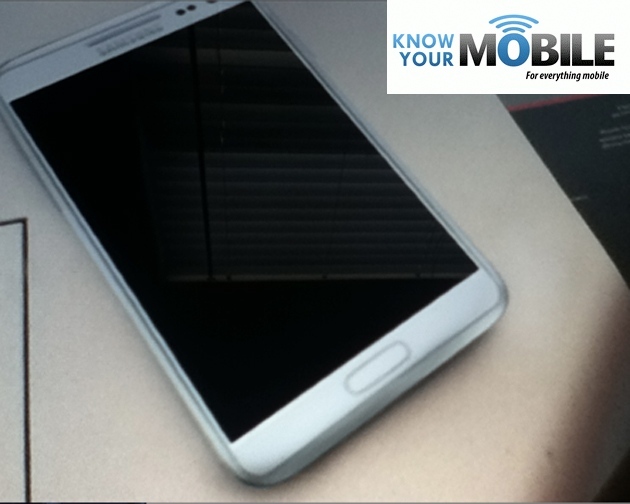 The Galaxy Note 2’s screen is slightly larger than the original. The first Galaxy Note had a 5.3 inch display while the sequel is thought to have a 5.5 inch screen. Like the original, it will feature Samsung’s Super AMOLED technology which offers superior colours compared to standard LCD screens. Although not confirmed yet, the Note’s WVGA resolution will most likely be upgraded to a 720p resolution or higher. Other improvements will see an upgrade from dual core to quad core and the use of Android Jelly Bean seems quite likely. Like the original, the Note 2 will come with the S Pen stylus. Samsung’s main rival on its home turf, LG, has also announced its plans to release its current phablet on a global scale. 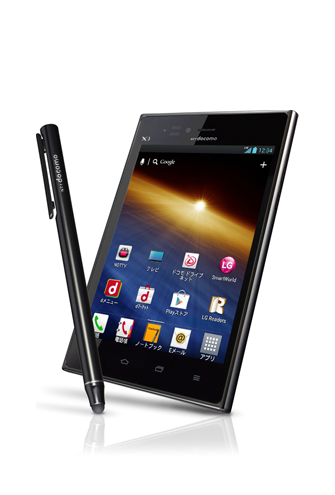 The LG Optimus Vu has already been on sale in Korea and Japan for some time, but is due to be released in the rest of Asia as well as Europe and South America next month. Although the Optimus Vu has already been on sale, the international version is expected to get a number of upgrades to help it compete against the upcoming Galaxy Note 2. For one thing, it will be upgraded from dual core to quad core. It is also quite likely that LG will consider upgrading Android Gingerbread to Android Jelly Bean. The Optimus Vu is a smaller phablet than the Galaxy Note 2, with a more modest 5 inch screen. Like the Galaxy Note, the Optimus Vu comes with a stylus pen so that the phablet can be easily used for handwriting and drawing. With the release of Google’s new handwriting recognition for its search on Android, the use of a stylus has never been more appropriate. So which will prove most successful? Samsung undoubtedly has a market lead over LG and Galaxy products are more popular now than ever. Besides this, the Galaxy Note 2 does have some advantages over the Optimus Vu. For one thing, the international version of the Vu will not come with LTE support. While many countries still do not have operational LTE networks, the lack of support for LTE gives the Optimus Vu a fairly limited lifespan compared to the Galaxy Note 2. Ultimately, whether or not the Galaxy Note 2 will outsell the Optimus Vu depends on whether or not Apple is able to have Samsung’s new phablet pulled from sale for patent violations. Samsung is currently embroiled in a heated patent dispute with Apple in California which may pose problems for a US launch, although other markets will not be affected. The Optimus Vu will be released outside of Korea and Japan during September and Samsung has plans to unveil the Galaxy Note 2 at a Mobile Unpacked event in Berlin at the end of August – with a release date at some point during the following weeks. I still prefer to use Samsung note than optimus. It is more reliable than other phones. Thanks for sharing the review regarding the battle of the two gadget. Seems like your having a good time with your Samsung Note 🙂 I am sure you cant wait for the next version ! Of course I did, As a matter of fact I still prefer to use Samsung than any other phones.